It’s easier than ever to be green, as healthier alternatives have finally found the acclaim they deserve. Matcha tea has become a commonplace flavour in the dessert world, including those of famed Belgian chocolatier Godiva. And this is a trend that fits well with the wider popularity we’ve seen in green foods; scientific research making the benefits of natural healthy foods more obvious than ever before, with more people keen to ensure their diet features a generous helping of super greens. From Kit Kat to Starbucks, big brands in Japan have gone green in the name of sating the appetites of the country’s matcha obsessed. 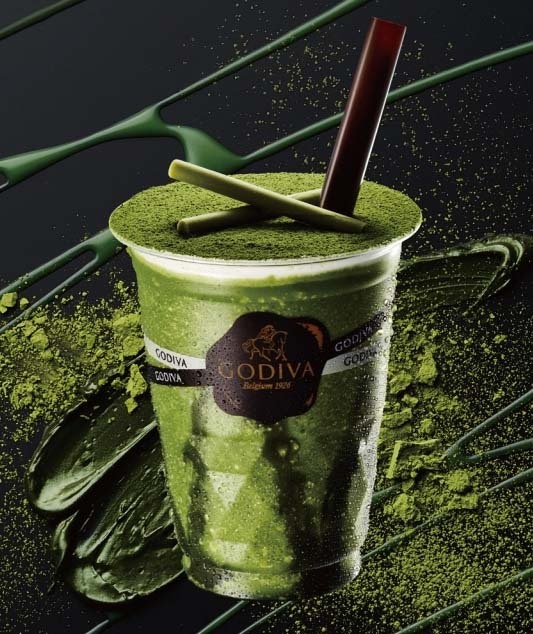 Recently, the Japanese division of chocolatier giant Godiva made an intriguing addition to their dessert beverage collection—the inclusion of matcha green tea giving their drink a distinctive flavour to match its bold colouring. Balancing the sweetness of chocolate with the depth of matcha proves that you really can enjoy the best of both worlds. While it may not be a traditional dessert flavour, matcha looks to have a bright future in both hot drinks and desserts. The bad news for green tea enthusiasts frantically booking their plane tickets to Japan is that Godiva—as is the case with many of these big brands—have only made their drink available for a limited time. Set to disappear on 17 November, whether that’s temporarily or permanently remains to be seen. While Godiva’s beverage may come and go, though, it highlights the trend of more people accepting that matcha is, in fact, their cup of tea. And the new wave of green is not exclusive to indulgent drinks. Natural healthy foods are an increasingly popular inspiration for meals, which are also witnessing a shift toward greener produce, largely due to a growing appreciation for the versatility of super greens. Sneaking them into smoothies has become a subtle way to harness their nutritious benefits, with spinach a popular way of counterbalancing the sweetness of fruit. It’s understandably more difficult to incorporate super greens into desserts, but that’s not to say that they can’t make for an indulgent meal. 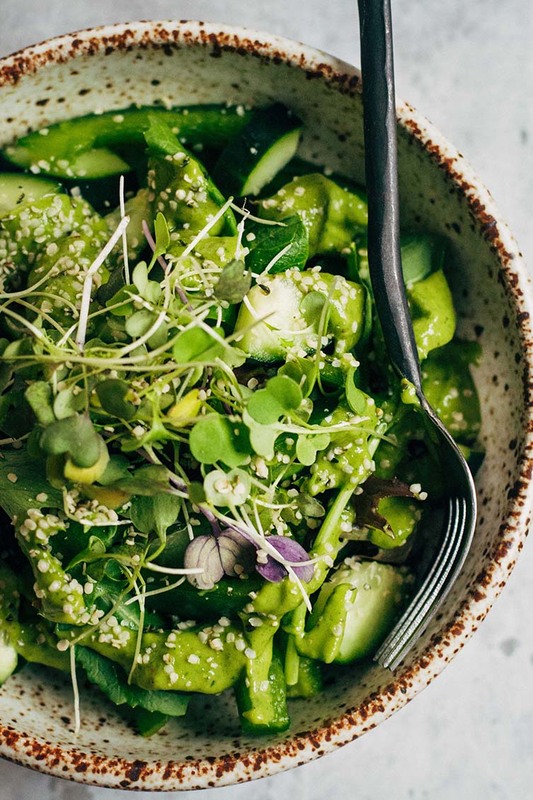 Chefs are getting creative with how they incorporate the nutrition of these super greens into flavoursome meals, but it’s not always difficult: many super greens have the depth in flavour to stand up and be counted as the central part of a dish. 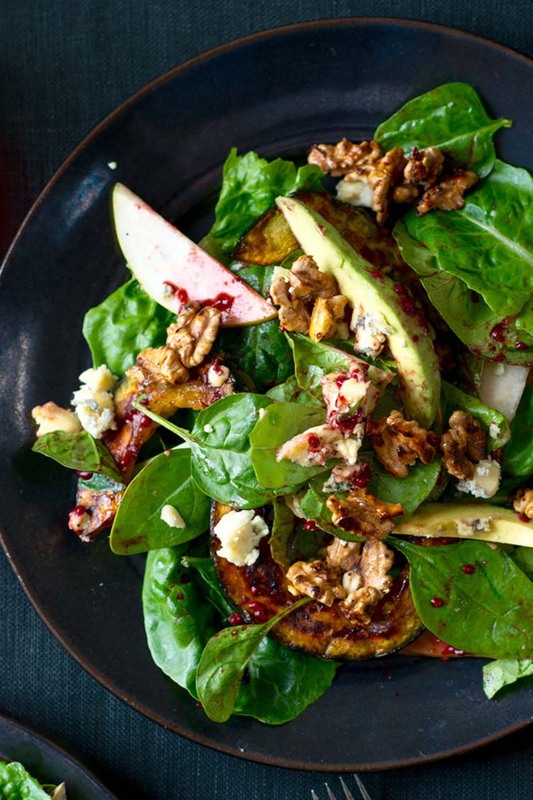 Sushimania’s eponymous Sushimania Salad is one example of how avocados and green veggies can star in a meal that feels both healthy and indulgent. The idea of a takeaway dinner has long been dominated by dishes heavy with meat or cheese, but the growing presence of green options is making it easier than ever to get that daily dose of superfoods. And for afters, desserts adopting green flavours, as Godiva did in Japan to such great effect, significantly helps to popularise the likes of matcha. The flavour doesn’t just have to be for special occasions, however. 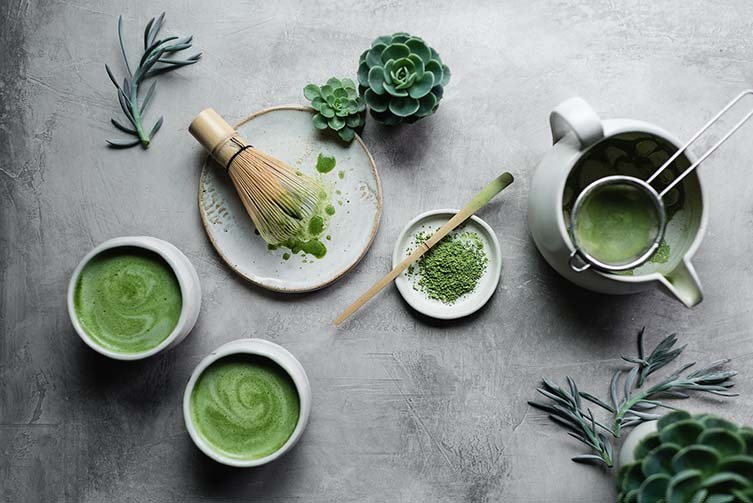 Matcha’s ample health benefits make it a viable alternative to traditional cups of tea, with its high level of antioxidants helping to reduce cell damage. Getting fibre, vitamins, and minerals into your diet doesn’t have to be at the expense of luxurious foods. Creative salads are perhaps the most effective way of incorporating natural healthy foods whilst retaining a delicious taste sensation, but the growing prominence of matcha tea is continuing to raise awareness of the health benefits of going green. “You wouldn’t like me when I’m angry,” said Bruce Banner. Perhaps these days, the Hulk’s famous hue would be more welcomely received.